Medium Chain Triglycerides (MCTs), the primary type of fat found within coconut oil, have been found to boost cognitive performance in older adults suffering from memory disorders as serious as Alzheimer's -- and not after months or even days of treatment, but after a single 40 ml dose! Subjects fasted from 8:00 p.m. on the night prior to the study visit. They arrived in the morning and blood was drawn to determine plasma β-OHB levels and APOE genotyping (first visit only). Subjects then consumed the test beverage and rested quietly for 90min, after which blood was drawn and a 30-min cognitive testing session ensued. After testing, a final blood draw was taken. How could a single dose of MCTs (40 ml or 2.7 tablespoons) cause an almost immediate improvement in cognitive performance in those suffering from cognitive impairments as serious as Alzheimer's disease? The explanation is found both in the unique metabolic needs of the brain and in the configuration of MCTs themselves. Whereas the primary fuel source for the energy-hungry brain is glucose, when insulin resistance and suboptimal metabolism (hypometabolism) develops in the brain, both the brain's structure and function are compromised. Ketone bodies provide a much needed alternative fuel source to glucose that can recharge metabolic processes within the brain, resulting in an almost immediate improvement in cognitive function. What is the best way to take MCTs? As we are advocates of whole food nutrition, coconut oil is our preferred source of these triglycerides, containing approximately 2/3rds MCTs by volume. 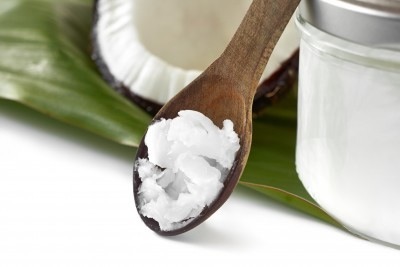 Coconut oil also has a broad spectrum of other health benefits, which we highlighted in our previous article "13 Evidence-Based Medicinal Properties of Coconut Oil ." Also, instead of treating coconut oil or MCTs as some new nutraceutical "magic bullet," almost as if we are just loading natural bullets into the same old outdated allopathic gun, try incorporating it into your diet in a way that displaces less healthy fats. For instance, replace that rancid, pro-inflammatory 'vegetable oil' (e.g. soy, grape seed, peanut, canola oil) you are using to fry an egg or bake with, with sublimely saturated, rancidity-resistant coconut oil. Or, enjoy a delicious curry with coconut milk as a base. Because 25% of coconut milk is fat, and about 66% of that fat is MCT, you are still getting a healthy dose. It is always better to eat smaller amounts of truly therapeutic foods, enjoyed in the context of sharing, preparing and enjoying good food, so that you will ideally never have to use the heroic "food as medicine" approach after a serious disease has had the opportunity to set in. Think: use food so that medicine never becomes necessary. For additional information view the testimonial of Dr. Mary Newport who discovered the benefits of using coconut oil to treat her husband's Alzheimer's Disease .